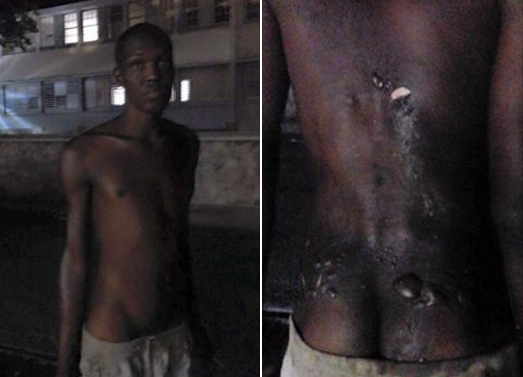 A disturbing photograph circulating on social media depicting a well-known Roseau mentally-challenged homeless man that was burnt with hot water is infuriating Dominicans. We have investigated this story and have learnt that this crime was perpetrated by a senior management official of the Orchard Restaurant. A couple of our sources indicate that it may have been the proprietor but that is unconfirmed at this time. Joan Coolslartigue, the proprietor of the Orchard, is the wife of recently-appointed Ambassador-at-large Gerald Coolslartigue, prominent government supporters. We expect a statement from her as well as compensation to the victim. As is the norm, we do not expect the police to do anything about this, but we call for a total boycott of Orchard Restaurant. The tourism industry is vital to the economy of Dominica. You are the government official in charge of the management of this industry and although you remain unimpressed with your ability to turn it around, you are now being presented with an opportunity to demonstrate to us your ability to do mitigate further damage to this industry. Your personal friend, Mrs. Joan Cools-Lartigue, wife of our Ambassador-at-large to Japan, Gerald Cools-Lartigue, and the proprietor of The Orchard Restaurant and the Restaurant at the Melville Hall Airport, is suspected to be or is aware of the individual who caused grevious bodily harm to a mentally-challenged homeless man, Andy, in the immediate vicinity of her restaurant in Roseau. Our investigation has revealed that the perpetrator of this crime set about to cause harm to him by obtaining a hot liquid, said to be water, and used this liquid as a weapon in attacking him, causing numerous injuries to his back. in our letter to the travel industry, we will encourage them to inform their readers of this crime and to request that they refrain from patronizing the establishment. We are not prepared to continue seeing crimes perpetrated by well-connected individuals being swept under the proverbial carpet; there is simply too much dirt under that carpet. We call on bus drivers and operators of the taxi industry whose livelihoods depend in part or in whole, on the tourism industry, to gather with their vehicles in front of The Orchard Restaurant during opening hours. We would like you to blow your horns in protest of this act and to demonstrate that you seek justice. We call on vehicle owners to gather in front of the residence of the owners of The Orchard Restaurant at night, when they should be sleeping. We would like you to blow your horns in protest of this act and to demonstrate that you seek justice. We call on all Dominicans to avoid all establishments of the owners of The Orchard Restaurant, including the restaurant at the Melville Hall airport, in protest of this act and to demonstrate that you seek justice. We are calling on Dominicans to flood the airwaves of all radio stations in Dominica to register their anger and demand justice. We are not going to simply sit idly by while people in our society are abused by persons of prominence and influence. We demand that you take action to remedy this situation immediately. Be advised that Mr. Carbon, his officers as well as the Director of Public Prosecutions must bring this case before the courts in short order. There are numerous witnesses, both within and without the Orchard Restaurant. We will not accept any legal maneuverings to delay justice, such as in the pending case of Mr. G.O.N. Emmanuel; Judicial Review is not an option. Clint Lowe, Nick Adams, J.A. Scotland, Pascale Eliot, Lizzy. You want to hurt the island limited means of support by informing the cruise lines. You are a jackass....If this woman commits a crime, then she should be held liable..